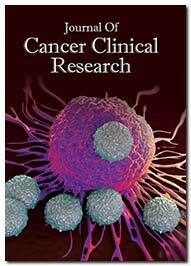 Journal of Cancer Clinical Research is a peer reviewed, open access periodical dedicated to publish the clinical advancements in the cancer research and therapy providing end-to-end solutions, from diagnosis thorough various stages of cancer therapy, pharmaceutical advancements, drug delivery, clinical trials, rehabilitation and care. Catering to the needs of the oncologists, radio oncologists, cancer surgeons, radiologists and palliative care specialists the journal features original research as review articles, research articles, clinical cases, perspective, and commentary. Journal of Cancer Clinical Research provides a forum for the exchange of information on all aspects related to cancer diagnosis and therapy by including expert’s opinions as editorials. Journal of Cancer Clinical Research covers a wide range of topics in this field including, Cancer Clinical Trials; Cancer Diagnosis; Cancer Therapies; Anti-Cancer Drug; Cancer Therapeutics; Oncogenes; Cancer and Metastasis; Neuro-Oncology; Benign Neoplasm; Oncology Research; Clinical Oncology; Carcinogenesis Research; Malignant melanoma; 3D Mammograms; Alternative Cancer Medicines; Cancer and Nutrition; Chemoprevention; Cancer Screening; Cancer Epidemiology; Molecular Cancer Therapeutics. Journal of Cancer Clinical Research provides a broad spectrum of topics pertaining to clinical and diagnostic advancements by detailing, endoscopic, interventional, and therapeutic developments in cancer therapy. It also focuses on pre and post cancer care by adding side effects, coping with the stress and trauma, the nutritional and dietary needs of the patient.